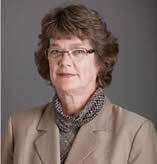 Dr. Susan Whiting is Professor of Nutrition in the College of Pharmacy and Nutrition, University of Saskatchewan. She received her PhD in nutrition from the University of Guelph and had postdoctoral training at the University of British Columbia. After teaching at Mount Saint Vincent University for 6 years, she moved to U of S to have more involvement in graduate teaching, and in 2009 she was awarded the Distinguished Graduate Supervisor Award. She has served as Head of the Division of Nutrition and Dietetics as well as a term as Assistant Dean, Graduate Affairs. For over 30 years she has conducted research on dietary influences on bone health, effectiveness and use of nutrient supplements, the calcium and vitamin D status of Canadians, and food security in Canada and Africa (Ethiopia). She is a member of several funded research teams including Linking agro-food systems and community equity for food security in Ethiopia (IDRC, Canada), Quality of Life in Long-term Care in Saskatchewan (SHRF, Canada) , andDevelopment of innovative therapeutic food products for treating malnutrition and responding to emergencies within high risk communities (Global Institute for Food Security, University of Saskatchewan). Dr Whiting is on the steering committee of the Canadian Health Measures Survey, is a member of Scientific Advisory Board of Osteoporosis Canada, and sits on the International Institute for Bone Health. 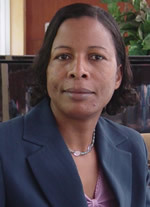 She has served on editorial boards of several international journals. In 2012 she was awarded the Canadian Nutrition Society’s McHenry Award for Distinguished Service in Nutrition in Canada. 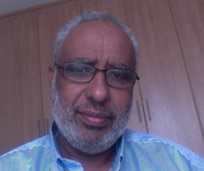 Before the civil war in Somalia, Prof Egal was a tenure tracked professor at the faculty of Education and Research of then the Somali National University cooperating with Michigan State University in USA (1981-1991). He lectured in Physical Sciences to both natural science and medical faculty students and reached full professorship in Physical sciences. After moving to Canada, at McGill in Montreal, Prof Egal also lectured in Biostatistics as a teaching assistant while pursuing post graduate studies. During these academic lecturing in Somalia (1981-1991), He has carried out parallel employments with the United Nations World Food Programme in food aid projects in Five African Countries ( Somalia, Kenya , Ethiopia, Djibouti & Lesotho) . He also carried out other public and private managerial posts in Somalia (1981- 1986) and United Arab Emirates (2001-2002). Also employed with USAID attachments1 993 -1996 in Somalia. When he VUT as Postdoctoral fellow in 2005 under the NRF exceptional Skills programme, the professorship status from previous university was not applied as s new research and academic profile was again started at VUT at Dr level. Firstly he started with Research Methodology lectures for the Hospitality and Tourism students alongside post graduate students and community project supervisions. Biostatistics courses to both students and staff have also been presented regularly to support their respective academic research projects. He assisted colleagues in the establishment of the first Food and Nutrition Research Centre (2005) that later evolved in the first Institute of Sustainable Livelihoods (2006) which then became the first Centre of Excellence – Centre of Sustainable of Livelihoods in May 2010 where student projects were again coupled and applied with community engagement projects and activities. However after 8 years a professorship was awarded in November 2013 with VUT in the new tenure track of Public Health Nutrition, Prof Egal authored/co-authored 35 articles, presented 18 papers in international conferences and 10 in national conferences. The Prof Egal successfully supervised two MTech student and co-supervised another 2 MTech and a DTech. Currently supervising/co-supervising eight MTech and five DTech. Prof Egal served as a staunch reviewer with AJFAND since 2005 and to lesser frequency to The Nutrition Journal, Public Health Nutrition and American Clinical Nutrition among other ad hoc journals. Dr. Mikalitsa is a trained Human Geographer. She holds a B-Ed Degree from the University of Nairobi and an M.A and PhD degree in Agricultural Geography from the same University. Her research approach reflects her multidisciplinary training as a geographer in both the natural and social sciences. Although a social scientist, she recognizes the importance of natural resources in supporting the livelihoods of rural population. Her research interest has concentrated in the area of smallholder agriculture, gender and household food security, rural development, rural livelihoods, sustainable land resources management, climate smart agriculture and the use of remote sensing and GIS in agricultural research. Her other expertise include Strategic Environmental Assessment, Social Impact Assessment, environmental planning and agricultural policy analysis among others. Dr. David Kwaw-Mensah holds a Ph.D. in Agricultural Education, specializing in Extension Education, and Ph.D. minor in Environmental Science with emphasis on soil and water quality from Iowa State University in the U.S.A. His additional education include a master’s degree in soil management from Iowa State University, a master’s degree in land use planning from the University of Pretoria, South Africa and a B.Sc. (Hons) degree in Agriculture (crop science/agronomy) from Kwame Nkrumah University of Science and Technology, Ghana. His research interests include educational strategies (teaching methods and tools) adopted by Extension Educators, soil management (soil tillage, nutrient placement and carbon sequestration), and agricultural land use planning with emphasis on identifying causes of low agricultural productivity and matching suitable cropping systems adaptable to specific agricultural environments to enhance agricultural productivity. Dr. Kwaw-Mensah is currently a Research Associate in the Department of Agronomy at Iowa State University in the U.S.A. Prior to his current position, he previously taught in Ghana and in three Southern African Development Community (SADC) countries including Zambia, Namibia and South Africa. He also taught at the University of Nebraska-Lincoln in the U.S.A. His diverse experience includes three years of Extension experience as an Extension Educator in Nebraska with the University of Nebraska-Lincoln. Dr. Kwaw-Mensah is married to Charlotte Kwaw-Mensah. Their children are Emmanuella, Davina, Edward, Clifford and Lynette Kwaw-Mensah.